For those of you traveling from out-of-town, we are so grateful that you are making the trip to Alexandria for our wedding celebration! We have reserved rooms for your convenience on the weekend of our wedding, May 29-31 2015. Please be sure to mention group name “Estorninos Perez Wedding” (Group Code: EPW) to reserve your room at the special discounted rate. The cut-off date is Wednesday, April 29, 2015. Make your reservation by either calling Embassy Suites Old Town Alexandria toll free 800-362-2779 or visiting our group webpage. 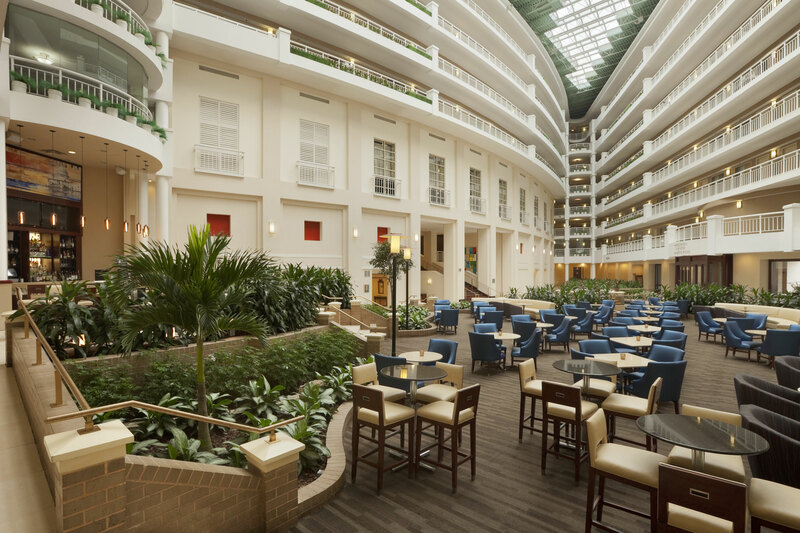 Embassy Suites is just across from the King Street-Old Town Metro Station, which is two stops away from Ronald Reagan National Airport. Upon your arrival at DCA, you may take either the Blue Line toward Franconia-Springfield, or, the Yellow Line toward Huntington. Check-in time is 3:00 p.m. and check-out is 12:00 p.m. Your reservation includes: hot buffet breakfasts, internet access in guest rooms (value of $9.95), nightly reception with select beer, wine, and light snacks, and discounted overnight parking rate of $18.00 (originally $28.00) per vehicle, per day.